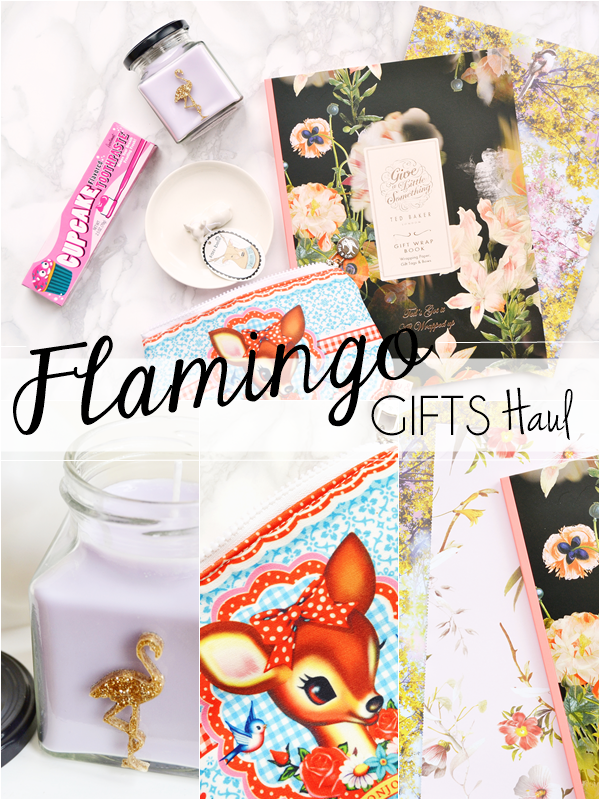 A few weeks ago the wonderful people over at Flamingo Gifts contacted me and asked if I'd like to try out a few of their products. So I of course said yes as I'd previously been on the website and knew it offered some amazing brands and unique gifts. So today I thought I'd share with you what I picked out and what I thought of them. Plus one of the products I feel could be amazing for bloggers - I know I'm totally loving it! Side note - A few items are out of stock as I'm writing this but all products do seem to come back in to stock, so it's worth checking back on them! Candles are a must for me, I literally have them all over my house! From Neom and Homesense finds to beautiful Sanctuary Spa ones. Little fact - Yankee Candles give me a headache! I just can't get enough. So when I spotted this 'Cheesecake Crunch' scented candle I could only imagine how good it smelt and had to get it. Plus the glittery flamingo to the front swayed it for me! For me this has an instant smell of brown sugar mixed with nutmeg and caramel, a real baking biscuits kind of smell. However I did find on initially burning the candle I couldn't smell it, but after the 2nd use all was fine and the smelt burnt wonderfully and filled the room with the warm yummy scent. Also worth mentioning is that the candle wax is made from Soybean oil, meaning it burns clean without any nasty vapours coming off it to inhale or stain your wall. Next up I thought what's another cute jewellery dish, I only have 6 dotted all over the house afterall! It was too cute to let go. Of course the idea is to lay jewellery on the dish but I realised you can even hang rings from the deer's antlers. Also without jewellery this looks lovely. The dish will be sat on the windowsill of my bathroom looking pretty. This is also great value for money and would make a great gift. Flamingo Gifts has a great range of Ted Baker gifts that I somehow have seen anywhere else on the internet, including this amazing Gift Wrap Book. Firstly can be just marvel at this idea... I mean why don't these exist everywhere?! The idea of the gift wrap book is that you can use the pull out gift wrap sheets to wrap presents with. But some of the Ted Baker prints are so beautiful that I'm tempted to frame them! 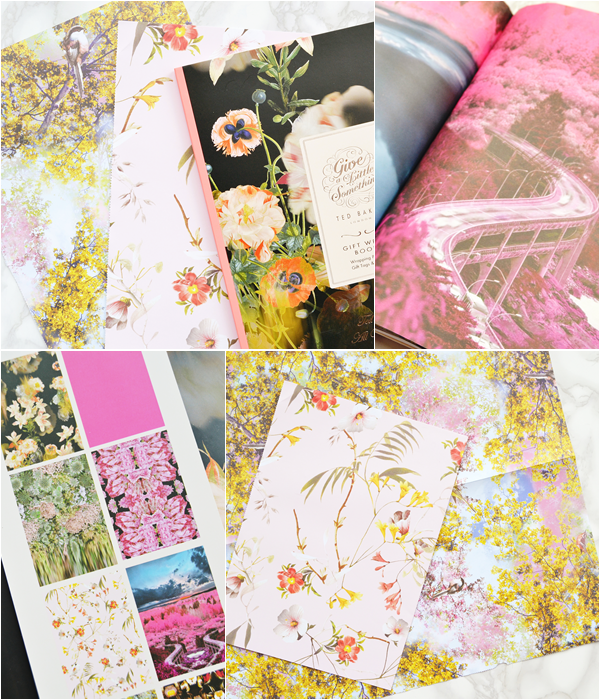 Also I really think a few would make amazing blog photography backgrounds - it's used the stunning spring print one in a few upcoming blog posts and it looks stunning! Or these could make lovely drawer liners.... the options seem to be endless. The book contains 16 sheets that open out to a huge A1 size and to the back of the book you get push-out Ted Baker gift tags and bows to make - really lovely! I absolutely love this and know I will get so many different uses out of it! Makeup bags are my thing! 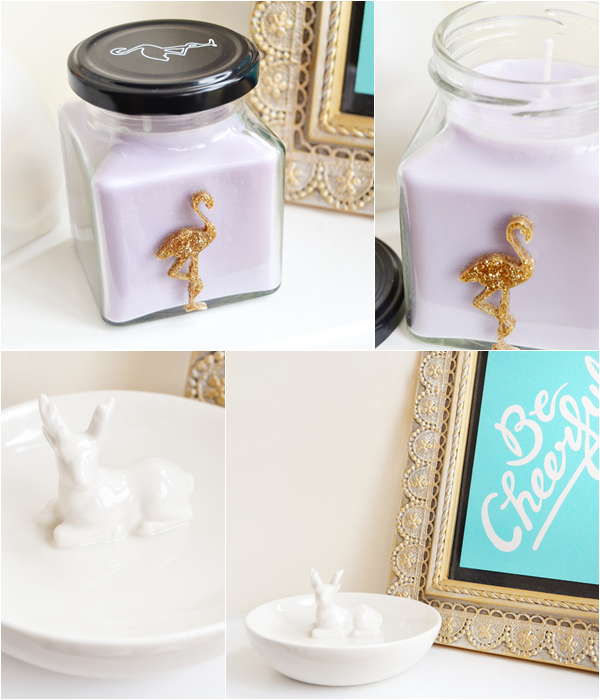 Okay... so jewellery dishes and candles also seem to be my thing - just call me Ariel! 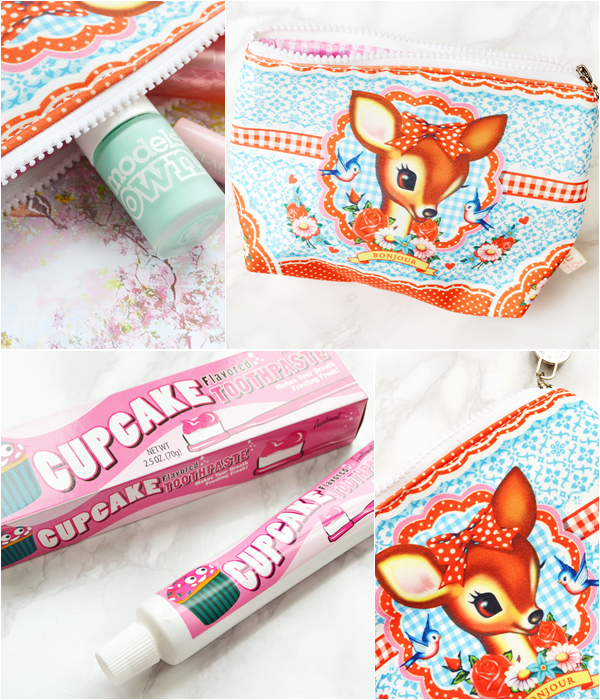 But I do seriously have a weakness for pretty makeup bags! So as soon as I spotted this adorable Wu & Wu wash bag I had to have it. In fact I instantly spotted that the illustration was by one of my favourite artists - Fiona Hewitt. Yes, the wash bag is a little steep in price but Wu & Wu is a fairly high end/unique brand. Overall it's great quality with a good chunky zip and the padded material is thick and not cheap feeling. This will definitely be my wash bag for my upcoming holiday! Okay... this was a last minute "why the hell not" kinda' buy! I think I was just intrigued to see if it tasted of cupcakes... and I can now confirm it does!! I was hoping after it tasted so amazing that I'd want to ditch my standard minty toothpaste, but sadly my brain cannot allow it as it relates a mint taste to feeling fresh and clean. So even though this tastes of yummy cupcake frosting, it's sadly nothing more than a novelty product for me! What do you love here the most?